Draft: 2001, Baltimore Orioles, 5th rd. He and his wife Elizabeth have three children; daughters, Abigail and Charlie, and son, Levi...Was the Atlanta Braves nominee for the 2016 Roberto Clemente Award...Attended Union-Endicott HS (NY) and graduated in 2001...Pitched no-hitter during senior season...Had high school jersey retired by school following 2010 season ... Had college scholarship offer from Georgia Tech, but elected to sign with Baltimore aft er being drafted out of high school ... Has a collection of duck decoys (model ducks), some of which were made by his father-in-law ... Appeared in an episode of Netflix series House of Cards as first pitch catcher when character "Vice President Frank Underwood" threw a ceremonial first pitch at an Orioles game ... Played in Arizona Fall League following 2007 season ... Originally signed by Orioles scout Jim Howard. Pitched in 61 games for Braves in his 12th Major League season and third (second full year) with Atlanta...Made his ninth Opening Day roster ... Recorded fourth career 20-save season, converting 22 of 31 opportunities...His 22 saves gave him 51 for career with Braves, which ranks as the ninth most since franchise moved to Atlanta in 1966 ... Compiled a career-best 9.7 strikeout per nine innings rate ... Finished with a career high-tying six wins (also had six victories in 2011 for Balti more) ... Began the season as the Club's primary closer before moving out of that role on July 30 ... Compiled a 3.32 ERA (21.2 IP - 8 ER) through his first 22 games of the season…Had a 6.94 ERA (35.0 IP - 27 ER) over final 39 games ... Went a season-best 2.0 innings twice, earning the win both times (in his first appearance of the season, Apr. 5 at NYM; June 3 at CIN) ... Did not pitch from Sept. 5-19 (right Achilles tendinitis), but was not placed on disabled list. Recorded his third 20-save season, converting 20 of 23 opportunities while compiling a career-best 68 strikeouts…Was one of 18 National League relievers to strike out better than a batter per inning pitched (minimum 64.0 IP)... His 9.5 K/9 ratio was a career-best…His previous high was 7.5 in 2010...Began the season in a setup role, before becoming the team's closer when RHP Arodys Vizcaíno went to the 15-day disabled list on 7/16…His .870 save percentage was his best since closing a career-best 51 games in 54 chances (.944) in 2012... Spent 23 games on the 15-day disabled list, 5/10- 6/3, with a right groin strain…Compiled an 0-4 record and a 7.90 ERA (12 ER/13.2 IP) in 15 games prior to landing on the disabled list... In 50 games after returning from the DL, went 2-2 with all 20 of his saves and a 1.76 ERA (10 ER/51.0 IP)…Among relievers with at least 40.0 innings over that stretch (6/3-end of the season), Johnson's 1.76 ERA was sixth best in the majors...His 18 saves after the All-Star break tied for eighth most in the NL and two off the lead…His 94.7 (18-for-19) save percentage over that time was third best in baseball among qualifi ers…The only qualifi ers to not blow a save chance after the break were Zach Britton and Craig Kimbrel. Among Braves pitchers with as many post All-Star break save opportunities as Johnson, only Craig Kimbrel (2013) and John Smoltz (2002) had better second-half save percentages…Both went 24-for-25 (96%)... Appeared in his 500th career game with 1.1 IP on 5/6 vs. ARI... Made his eighth Opening Day roster. Named the NL Player of the Week for the week ending July 31... Tied for the MLB lead in saves, converting each of his four save opportunities while not allowing a run over his 4.0 innings pitched...Held opponents to just one hit and two walks last week while striking out five... Struck out at least one batter in a career-best 15 straight games, 7/23-8/25 (21 total)... Eight of his 20 saves came in a one-run decision. • Collected his second career at-bat, 9/7 at WSH… He struck out... Signed a two-year major league contract for 2017 and 2018 on 10/2. Opened the 2015 campaign with Atlanta after signing a one-year contract with the Club in December 2014…Was acquired by the Los Angeles Dodgers along with four other players (all Braves) in a three-team, 13-player trade on July 30, 2015, and spent the final two months of the year with LAD…Combined to go 2-6 with 10 saves, 25 holds and a 4.46 ERA in 72 total appearances between the two clubs…Ranked sixth in the National League in holds (25) and tied for 13th with 72 appearances (two shy of his career high 74 set in 2013 while with Baltimore)…Allowed six of 21 inherited runners to score (28.6%)…Made 17 consecutive scoreless outings (17.2 IP), 6/9-7/17. Went 1-0 with four saves and six holds over the span that ended with a run on 7/20…During his final 21 games with Atlanta, allowed just two earned runs in 21.2 innings pitched for a 0.83 ERA…Went 0-3 and had a 10.13 ERA (21 ER/18.2 IP) in 23 games for LAD. Was touched for eight earned runs in 0.2 inning pitched in his 8/9 outing at PIT. Without that outing, his ERA with LAD would have been 6.50. In his 14th professional season and eighth Major League season, played for the Oakland Athletics and Detroit Tigers, tallying 54 games and 53.1 innings with a 5-2 record and a 7.09 ERA between the two clubs. Also made four appearances for Tigers' Triple-A club, Toledo Mudhens (0-1, 3.86)...Opened the season with OAK and went 4-2 with two saves and a 7.14 ERA over 38 appearances...Had an eight-game span that totaled 10.1 innings pitched in which he did not allow a run, 4/11-5/4. During that span, held opponents to a .194 batting average while registering nine strikeouts and going 3-0...Pitched at a 3.74 ERA (9 ER/21.2 IP) over a 19-game span, 5/7-7/1...Designated for assignment by OAK on 7/24...Signed by DET to a minor league contract on 8/5 and was assigned to Toledo (AAA)...Made four relief appearances for Toledo, going 0-1 with a 3.86 ERA (2 ER/4.2 IP)...Made his Tigers debut on 8/17 vs. SEA (0.2 IP, 2 H, 3 R, 1 ER, 1 BB, 1 K)...In 16 games for DET, went 1-0 with a 6.92 ERA (10 ER/13.0 IP)...Appeared in five games vs. National League teams, going 1-0 with a 2.16 ERA over 8.1 IP. Led the American League and tied Atlanta's Craig Kimbrel for the Major League lead with 50 saves…also led the majors with 51 saves in 2012 and is the second pitcher in ML history to lead the majors in saves in back-to-back seasons…the other is Rollie Fingers, who did it with San Diego in 1977 and 1978…is one of just two pitchers to lead the AL in saves in back-to-back seasons since 1986 (Francisco Rodriguez, 2005-06) … is the second reliever in ML history with back-to-back 50-save seasons…the Dodgers Eric Gagne is the other (2002-03)…Mariano Rivera is the only other reliever with two 50-save seasons in his career (2001, 04) … his 50 saves in 2013 tied for sixth most in AL history and were second most in Baltimore history to his record of 51 in 2012…was 3-8 with a 2.94 ERA in career-high 74 appearances…the appearances ranked sixth in the AL and seventh in Orioles history…was charged with a career-high and ML leading nine blown saves and his save percentage of 84.7% ranked 10th in the AL…the blown saves tied the Baltimore record (Don Aase, 1986; Mike Timlin, 1999)…opponents grounded into 17 double plays, which were the most in the majors among relievers and a career high … they were second most in Baltimore history by a reliever (Doug Sisk, 21 in 1988)…also had career-highs in losses, hit batters (7) and opponents on-base percentage (.336)…the hit batters tied the Baltimore record for a reliever…tied for the AL lead among relievers in hit batters, tied for second in losses and ranked fifth in hits (72) … allowed a .273 opponents batting average, including .266 (33-for-124) against right-handed hitters compared to .279 (39-for-140) against left-handers … allowed just three extra base hits to righties (one double, two home runs)…logged a 1.69 ERA after the All-Star Break after posting a 3.71 ERA before the break…surrendered five home runs, all solo shots…first batters faced hit .347, which was the second highest mark in the AL (Perez, SEA .353)…allowed 4-of-11 (36.4%) inherited runners to score…had a 3.48 ERA against AL East competition; combined for a 1.30 ERA against the Central and West … converted each of his 14 save opportunities against AL West teams and has a streak of 19 consecutive saves against the West dating back to Aug. 6, 2012…has a 0.93 ERA (2 er in 19.1 ip) in 20 games total over that span … compiled 1.07 ERA in 35 outings on one or two days rest, 4.66 in his other appearances…had a 1.90 ERA in 54 games at night compared to a 5.89 ERA in 20 day games …now has a 2.72 ERA in 242 career games at night (82 er in 271.0 ip) compared to a 3.91 ERA (56 er in 129.0 ip) in 118 games during the day…tossed exactly one inning in 67 of his 74 outings…his other seven outings were fewer than one inning. BALTIMORE: Posted a 0.64 ERA in 14 games in April and converted each of his 10 save opportunities … tied for the ML lead in saves in the first month of the season…then logged a 9.75 ERA in 12 appearances in May…converted each of his first 14 save opportunities and had a 0.95 ERA over his first 19 games before he was charged with his first blown save May 14 against San Diego…that snapped a streak of 35 consecutive saves dating back to July 30, 2012…it was the longest consecutive save streak in Baltimore history, breaking the previous mark of 34 set by Randy Myers (May 6 to Sept. 27, 1997)…the Padres game began a six-game stretch where he had three losses and blew four saves…allowed 12 runs in 5.0 innings over that span from May 14 to 26 (21.60 ERA) and opponents went 13-for-26 (.500) … allowed a season-high four hits on the 14th against San Diego and May 26 at Toronto…surrendered a season high five runs in 0.1 innings May 18 against Tampa Bay…did not allow a run in 13 of his 14 appearances from May 29 to June 25 (0.68 ERA) and was successful in each of his 12 save opportunities over that span…became the all-time Oriole Park at Camden Yards saves leader with his 44th, June 16 against Boston…record his 100th career save June 30 against New York (AL)…finished June with 11 saves, which tied for the ML lead and tied the Orioles record for the month (Gregg Olson, 1993)…compiled a 1.04 ERA in July…had a season-best 10.1-inning scoreless streak from July 7 to Aug. 6…then allowed one run in each of his next four contests, including a blown save in three consecutive games from Aug. 9 to 14…was credited with his 40th save of the season Aug. 23 against Oakland to become the first Oriole with two 40-save seasons … that also began a season-ending stretch where he converted each of his final 11 save opportunities …posted a 0.69 ERA in 13 games in September and issued just one walk in 13.0 innings…recorded the save in back-to-back games against Boston Sept. 28 and 29 and was a perfect 9-for-9 against the Red Sox in 2013. Set career-highs in games (69), wins (6), innings pitched (91) and strikeouts (58) ... Was among AL relief leaders in innings pitched (second), wins (T-third), groundball/flyball ratio and groundball percentage (6th), games (T-7th), walks per 9.0 innings (10th), ERA (17th) and home runs per 9.0 innings (19th) ... Lowered season ERA from 5.14 to 2.67 in final 56 games, during which he pitched to a 2.22 ERA (77.0IP, 19ER, 14BB, 44K) ... Did not allow a run in 50 of his 69 appearances ... Pitched more than 1.0 inning in 25 of his 69 appearances, including a season-high 3.0 twice (8/20 @LAA & 9/5 @NYY) ... Converted his final 8 save chances to end the season ... Allowed three home runs in first 11 games, then did not allow a HR in his next 46 games (63.1IP), May 4-September 2 ... Earned 7 saves and a win in his final 11 appearances ... 3.0IP on August 20 @LAA was longest outing since April 19, 2008 vs. NYY ... Struck out season-high 4 in 2.0 IP on April 26 vs. BOS. Made one relief appearance in two brief stints with the Orioles and spent the remainder of the seasonat AAA Norfolk....Was recalled on April 24 from AAA Norfolk with RHP Scott Williamson being placed on the disabled list...Gave up 2 runs on 3 hits in 2.0 innings against Boston on April 25 and was optioned to Norfolk on April29...Rejoined the Orioles on August 23 when LHP Garrett Olson was optioned to Rookie-level Bluefield anddid not appear in a game, being optioned to Norfolk the next day...Went 6-12 with a 4.07 ERA (148.0IP, 67ER) in 26 games (25 starts) for Norfolk, leading the Tides instarts, innings pitched and complete games (2). Was recalled from AA Bowie on July 29 to make one start for the Orioles, losing to the Chicago WhiteSox, 13-11, in his major league debut...Was optioned back to Bowie the next day...Pitched 3.0 innings and allowed 13 baserunners in his only appearance for the Orioles...Gave up 7 runsin the 3rd after taking a 3-1 lead into the inning...Led Bowie in wins (13), innings pitched (156.0) and strikeouts (124) and tied Brian Finch for the leadwith 26 starts...Topped Orioles farmhands in wins for the 2nd straight season...Was tied for 2nd in innings pitched andfinished 5th in strikeouts...Won his last 4 starts for the Baysox to finish tied for 3rd in the Eastern League with 13 wins...Was 6thin the league in innings pitched and tied for 8th in strikeouts...Was named to the Eastern League All-Star team...Pitched a scoreless inning in relief to preserve theSouth's lead, allowing a hit and striking out one batter...Struck out a season-high 8 batters on 3 occasions, including his last two starts of the year...Was Bowie's Opening Night starter on April 6 and earned the win vs. Reading, pitching 5.0 innings withoutallowing an earned run...After winning his first 3 starts of the season, won only one of his next 6 starts despite not allowing morethan 3 runs in any outing...Earned the win on June 8 at Trenton, pitching 8.0 scoreless innings and allowing only 2 hits...Made one relief appearance, working 4.0 innings to earn the win on July 9 vs. Harrisburg...Entered inthe 3rd inning after Hayden Penn completed a 2-inning rehab stint as starter...Pitched at least 5.0 innings in 19 of his 20 starts prior to being recalled...The lone exception came onApril 21 vs. New Hampshire, when he left the game after 1.2 innings because of a rain delay...Was 9-5 with a 4.13 ERA (120.0IP, 55ER) in 21 games for Bowie when he was recalled by the Orioleson July 29...Went 4-1 with a 5.50 ERA (36.0IP, 22ER) in 6 starts after returning to the Baysox following his start forthe Orioles...Allowed 6 runs in each of his first 2 starts, then pitched to a 3.75 ERA (24.0IP, 10ER) in winninghis last 4 games. Had a breakout season with Class A Frederick...Was named Carolina League Pitcher of the Yearand earned the Jim Palmer Prize as the top pitcher in the Orioles farm system...Led the league in strikeouts(168), was tied for 2nd in wins (12), 3rd in ERA (3.49) and 4th in innings pitched (159.2)...Was 2ndon the Keys in ERA behind teammate Brian Finch's 3.38...Except for one fill-in start for AA Bowie, spentthe season with Frederick, helping the Keys win their first CL title since 1990...Led Orioles minor leaguersin wins (12) and strikeouts (174)...Was 8th among all minor leaguers in strikeouts...Allowed 3earned runs or fewer in 21 of his 28 starts between Frederick and Bowie and 2 earned runs or fewer in14 starts...Pitched 7.0 or more innings in 8 starts...Pitched a 9-inning complete game and struck out 10in a losing effort to Potomac on 8/15...Struck out a season-high 11 batters in a 7-inning win on 7/5 atLynchburg...Had 10 strikeouts twice...Was 5-4 with a 3.49 ERA in 15 starts for Frederick when he waspromoted to Bowie for a start on 6/25 vs. New Hampshire...Pitched 7.0 shutout innings, allowing 3 hitsand 2 walks, but did not get a decision...Including his start at Bowie, pitched 6.0 shutout innings on 6/30at Myrtle Beach and then did not allow a run through the first 4 innings of his start on 7/5 at Lynchburgto run his scoreless string to 17 innings...Won his first 4 starts after returning to Frederick...Beginningwith his start at Bowie, went 4-0 over 5 starts, pitching to a 1.15 ERA (31.1IP, 4ER), from 6/25 through7/20...Allowed 21 ER in his next 5 starts, 7/25-8/15, going 1-4 with a 6.23 ERA (30.1IP, 21ER)...Won 2of his last 3 starts, then pitched 1.0 scoreless inning in relief in his final outing of the regular season toearn a save on 9/5 at Wilmington...Went 1-1 in the Carolina League playoffs...Beat Lynchburg in thesemifinals, allowing one earned run in 5.1 IP, but lost his start in the championship series at Kinston,allowing 4 runs in 6.0 innings...Was rated as the 14th best prospect in the Carolina League by BaseballAmerica. Spent the majority of the season at Class A Delmarva and was tied for 3rd on the team with 8wins...Went 3-1 with a 1.85 ERA in 5 starts in June...Had 3 outings of at least 7.0 scoreless innings onthe year...Was named Organizational Pitcher of the Month in July after going 3-2 with a 3.65 ERA in 6starts...Made one start at Class A Frederick in August...Missed the final 2 weeks of the season withmononucleosis. Spent his second straight season at Rookie League Bluefield...After going winless in his first 5starts, earned his first victory on 7/23 at Johnson City, pitching 5.0 scoreless innings...Posted a 1.93 ERAin July...Won his last start of the year on 8/21 vs. Johnson City, pitching a season-high 7.0 innings andallowing 2 runs. Started 9 of 11 outings for Bluefield...Earned the win on 6/29 vs. Princeton, pitching 6.0 inningsand allowing one run on 2 hits...Pitched 5.0 or more innings in each of his 9 starts on the year. Spent his first professional season with the Gulf Coast Orioles...Made his first 3 appearances inrelief before starting his final four games...Struck out a season-high 7 batters in 4.0 innings in his laststart of the season. October 29, 2018 RHP Jim Johnson elected free agency. July 22, 2018 Los Angeles Angels activated RHP Jim Johnson from the 10-day disabled list. July 18, 2018 Los Angeles Angels sent RHP Jim Johnson on a rehab assignment to Salt Lake Bees. 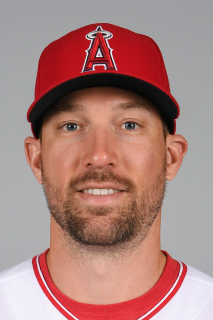 July 8, 2018 Los Angeles Angels sent RHP Jim Johnson on a rehab assignment to Inland Empire 66ers. June 15, 2018 Los Angeles Angels placed RHP Jim Johnson on the 10-day disabled list retroactive to June 12, 2018. Lumbar strain. November 30, 2017 Atlanta Braves traded RHP Jim Johnson to Los Angeles Angels for LHP Justin Kelly. June 3, 2016 Atlanta Braves activated RHP Jim Johnson from the 15-day disabled list. May 28, 2016 Atlanta Braves sent RHP Jim Johnson on a rehab assignment to Gwinnett Braves. May 26, 2016 Atlanta Braves sent RHP Jim Johnson on a rehab assignment to Rome Braves. November 30, 2015 Atlanta Braves signed free agent RHP Jim Johnson. October 14, 2015 Los Angeles Dodgers released RHP Jim Johnson. October 14, 2015 Los Angeles Dodgers designated RHP Jim Johnson for assignment. October 9, 2015 Los Angeles Dodgers reassigned RHP Jim Johnson to the minor leagues. July 31, 2015 Los Angeles Dodgers activated RHP Jim Johnson. December 3, 2014 Atlanta Braves signed free agent RHP Jim Johnson. October 30, 2014 RHP Jim Johnson elected free agency. October 13, 2014 Detroit Tigers activated RHP Jim Johnson. October 2, 2014 Detroit Tigers reassigned RHP Jim Johnson to the minor leagues. August 17, 2014 Detroit Tigers selected the contract of RHP Jim Johnson from Toledo Mud Hens. August 8, 2014 RHP Jim Johnson assigned to Toledo Mud Hens. August 6, 2014 Detroit Tigers signed free agent RHP Jim Johnson to a minor league contract. August 1, 2014 Oakland Athletics released RHP Jim Johnson. July 24, 2014 Oakland Athletics designated RHP Jim Johnson for assignment. December 3, 2013 Baltimore Orioles traded RHP Jim Johnson to Oakland Athletics for Player To Be Named Later and 2B Jemile Weeks. August 27, 2010 Jim Johnson roster status changed by Baltimore Orioles. August 20, 2010 sent RHP Jim Johnson on a rehab assignment to Bowie Baysox. August 14, 2010 sent RHP Jim Johnson on a rehab assignment to Frederick Keys. August 12, 2010 GCL Orioles sent RHP Jim Johnson on a rehab assignment to Bowie Baysox. August 2, 2010 Jim Johnson assigned to GCL Orioles. July 21, 2010 Baltimore Orioles transferred RHP Jim Johnson from the 15-day disabled list to the 60-day disabled list. May 28, 2010 Baltimore Orioles recalled Jim Johnson from Norfolk Tides. May 28, 2010 Baltimore Orioles placed RHP Jim Johnson on the 15-day disabled list. May 7, 2010 Jim Johnson roster status changed by Norfolk Tides. May 1, 2010 Baltimore Orioles optioned RHP Jim Johnson to Norfolk Tides. July 29, 2006 Baltimore Orioles reassigned RHP Jim Johnson to the minor leagues. November 18, 2005 Baltimore Orioles activated RHP Jim Johnson.